The matching process starts with a call to a transplant center. If you want to donate to someone you know, you contact the transplant center that's providing their care. If you're an altruistic donor, you can contact any transplant center that does kidney transplants, or a registry such as the National Kidney Registry. Potential donors work with a donor coordinator, a member of the transplant team who's your advocate through the entire process, from testing to surgery and recovery. Your coordinator is focused on your needs as a donor and is a phone call away to answer any and every question you may have. It's their job to help donors feel as comfortable about the process as possible. The coordinator sends you a packet that includes information about testing, the surgery, recovery, risks of donating and life after donation. You also get medical history forms to complete if you choose to move forward, which help pre-screen for any known medical issues that would prevent you from donating. After the coordinator reviews your medical history, she contacts you and lets you know if you're cleared to move forward with blood tests for matching. 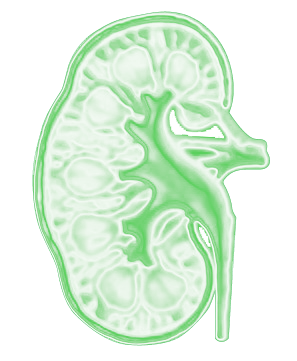 What's it like to tell someone their wait for a kidney is over? Awesome all around, even if you don't get to see the look on her face. A potential donor and recipient must have compatible blood types. A blood test determines a donor's blood type. Everyone has different tissue types. Tissue typing is a blood test to determine how well a donor and recipient's tissue match. The better tissue match between the donor and recipient, the more successful the transplant typically is in the long run. A cross match is a blood test you and the recipient will have at least twice. The test mixes your white blood cells with the recipient's blood serum to see if the recipient has antibodies that destroy your cells. If so, that means the recipient would reject your kidney, and the transplant can't take place.